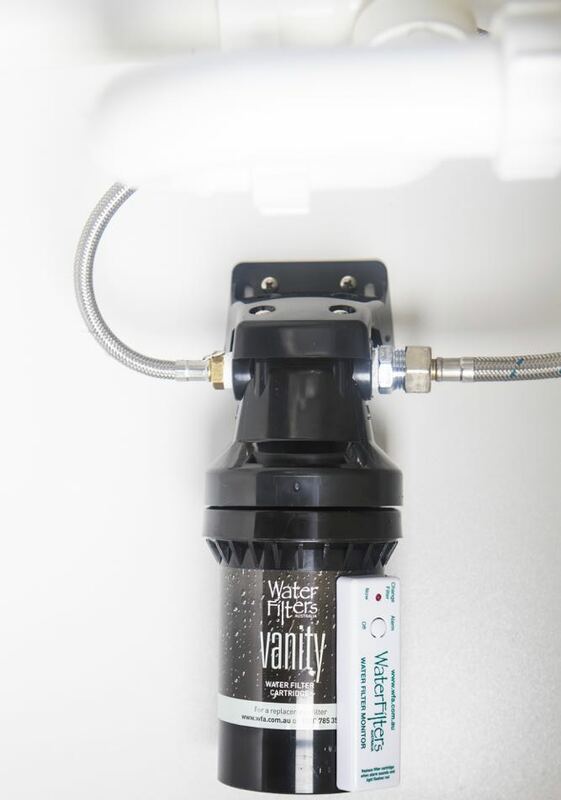 The convenience of fresh, filtered water from your existing bathroom tap. For healthy, hydrated skin – it’s the perfect natural way to wash your face without the harsh chemicals in tap water. Why spend money on expensive face products and then wash your face in chlorinated tap water? Chlorine has been known to dry out your skin and contribute to eczema, acne and other skin irritations. 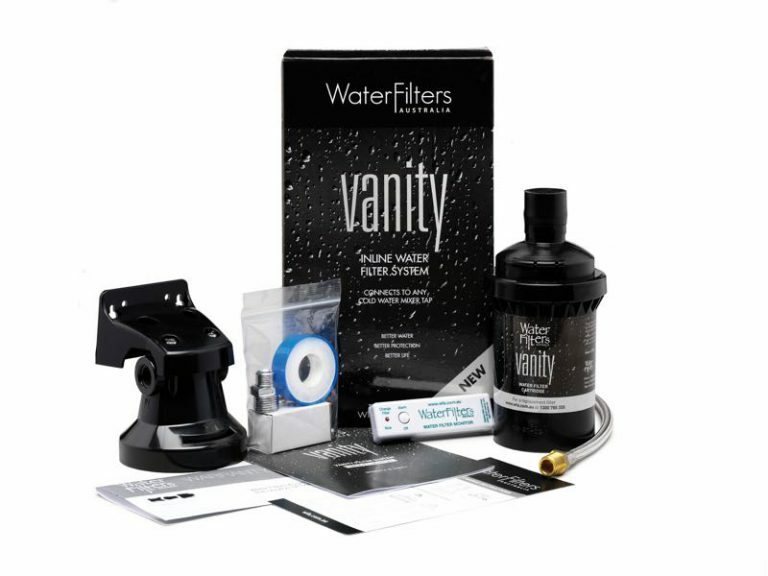 With the Vanity system you can wash your face in filtered water without all the chemicals, helping to keep your skin clear, hydrated and naturally healthy. You can also clean your teeth in water that’s had all the ‘nasties’ removed, yet still leaves in the fluoride, keeping you and your family’s teeth strong. Your dentist will love you for it! The beauty of the Vanity system is that it’s compact. It’s one of our WFA inline systems, which means it works with your existing tap so there’s no need to change your bathroom décor. And better still, you don’t need a plumber. It’s so easy to install, you just fit it yourself. Then forget about it and enjoy clean, filtered water for about 12 months until we call to remind you to change the cartridge or the built-in alarm will remind you to change it. Again a DIY job, done in a few minutes. 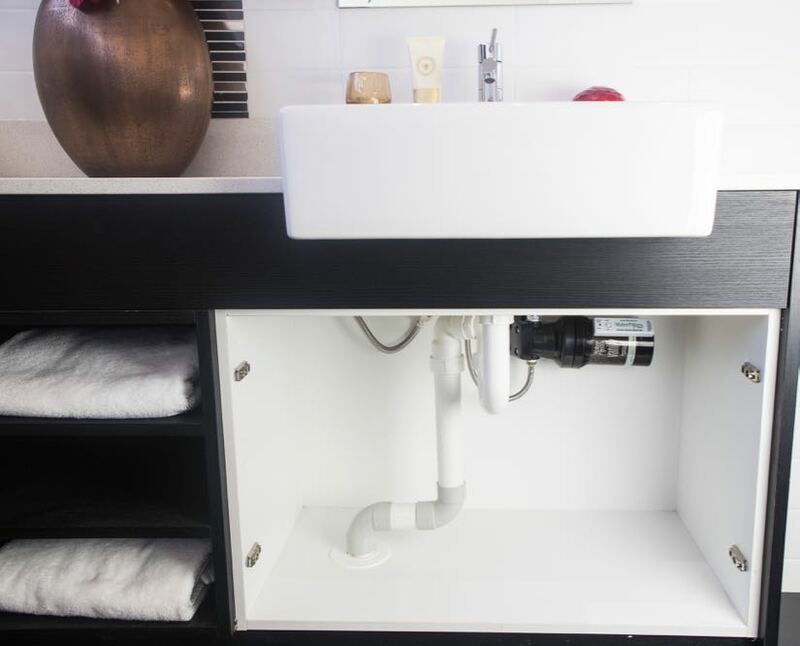 Another added bonus is that by having filtered water in your bathroom it will also help protect your tap and pipes from limescale build-up therefore extending the life of your tap and plumbing. So you can delay those expensive bathroom renovations for longer! Why not call one of your customer support staff? All our support staff are located right here in our Sydney office and they each look after their own customer base. So not only are you talking to a real person… you’re talking to somebody who knows you. Either way, we’d love to help you to enjoy the convenience and environmental and health benefits of filtered water from your bathroom tap…at a price you won’t believe.